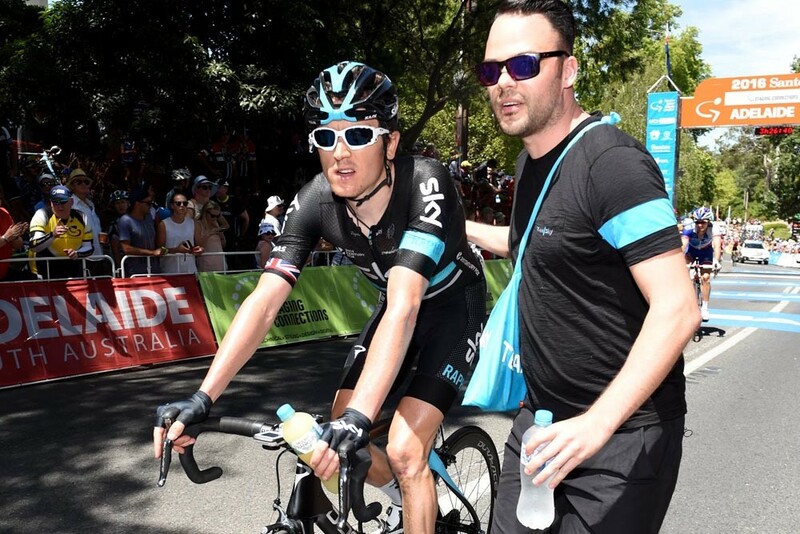 Geraint Thomas and Sergio Henao will lead Team Sky‘s two-pronged attack on stage three of the Tour Down Under tomorrow, as the 2016 race hits its first significant climb: Corkscrew Road. Welshman Thomas had attempted to gain valuable bonus seconds during stage two on Tuesday by contesting an intermediate sprint, but was thwarted by stage one winner Caleb Ewan, who was looking out for the interests of Orica-GreenEdge team-mate and GC hope Simon Gerrans. “I had a little look on the first [intermediate sprint], and was boxing on next to Caleb. He is the sprinter everyone is talking about so I’ve got no chance against him really. I think I ran fourth so I had a go,” said Thomas after the stage. Both Thomas and Gerrans could not take part in the stage two finale, thanks to a late crash that brought down Gerrans and forced Thomas to come to a halt. Riders caught in the incident were given the same time as stage winner Jay McCarthy (Tinkoff) as it happened within the final three kilometres. Before that incident, Sky had launched an attack in the shape of British national champion Peter Kennaugh, with Classics men Ian Stannard and Luke Rowe also active near the front of the race. Thomas is now looking ahead to Thursday’s stage, and its final climb up Corscrew Road which is followed by a descent into the finish in Campbelltown – the ideal launchpad for an attack. Alongside Thomas, Colombian Henao will be active on that key climb, although at this early stage of the season it is hard to assess exactly how well they will match up to their rivals, particularly the Australian contingent who have come into the event after a summer of racing. Henao finished eighth on stage two, and sits in 15th overall with Thomas in 66th. Thomas is aiming to be more of a factor in major stage races this season, and will miss some of the classics to prepare for and take part in races such as Paris-Nice and the Tour de Suisse before heading to the Tour de France in July. Sky did suffer one blow during the stage: Italian Salvatore Puccio was forced to withdraw after suffering from an illness.